This sand colored sweater inspired me to go all monochromatic. You can never go wrong with a tight color pallet and it's a refreshing break in the middle of Summer. 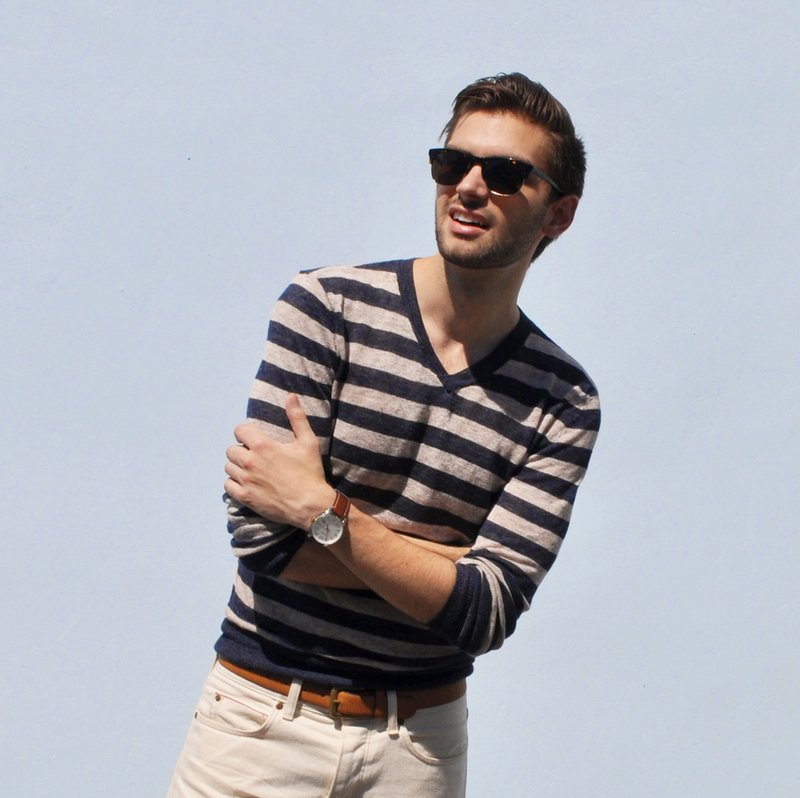 Next time you're out, try on a linen sweater. I think you'll be surprised how light and easy it can be. Just be sure to ditch any layering pieces you're used to wearing underneath. It's Summer after all!